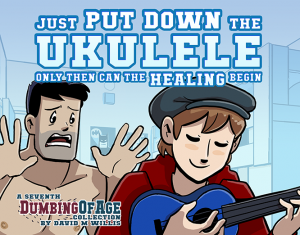 Dumbing of Age - Book 7 is in the online store! Book 7 is in the online store! Just in time for the holiday shopping season, Dumbing of Age book 7 is now in the online store! It’s 228 pages and includes bios, strip commentary, a year’s worth of Patreon bonus strips, and some other special features! 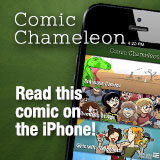 You can get it plain or doodled/autographed in. Also check out the bundle of Books One through Six and the third collection of character magnets!